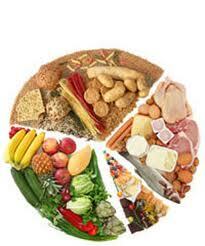 ← Carbohydrates for training and competition. Carbohydrate ingestion can improve endurance capacity and performance. 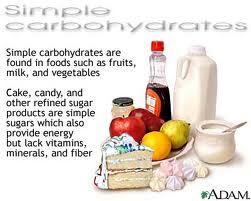 Since the 1980s, research has focused on optimizing the delivery strategies of these carbohydrates. The optimal dose of carbohydrate is still subject to debate, but recent evidence suggests that there may be a dose–response effect as long as the carbohydrate ingested is also oxidized and does not result in gastrointestinal distress. Oxidation rates of a single type of carbohydrate do not exceed 60 g·h−1. However, when multiple transportable carbohydrates are ingested (i.e. glucose and fructose), these oxidation rates can be increased significantly (up to 105 g·h−1). To achieve these high oxidation rates, carbohydrate needs to be ingested at high rates and this has often been associated with poor fluid delivery as well as gastrointestinal distress. However, it has been suggested that using multiple transportable carbohydrates may enhance fluid delivery compared with a single carbohydrate and may cause relatively little gastrointestinal distress. More research is needed to investigate the practical applications of some of the recent findings discussed in this review. There are few published reports of the effects of different doses of carbohydrate on exercise performance. Mitchell and co-workers (1989) compared ingestion of 37, 74, and 111 g of carbohydrate per hour (6%, 12%, and 18% carbohydrate solutions, respectively) or flavoured water. Compared with water, only the trial using 74 g of carbohydrate per hour significantly enhanced the performance of a 12-min isokinetic cycling time-trial following 105 min of continuous exercise. However, all of the performance results for the three carbohydrate trials were statistically similar. In an earlier investigation using a similar isokinetic performance ride, but following 105 min of intermittent exercise, the same authors reported improved performance compared with a water trial for 5%, 6%, and 7.5% carbohydrate solutions (33, 40, and 50 g · h−1, respectively), with no significant differences among the carbohydrate trials (Mitchell et al., 1988).However, in this study both the amount and type of carbohydrate ingested were varied. Fielding and colleagues (1985) reported that a minimum of 22 g of carbohydrate per hour is required to achieve a performance benefit. They had participants perform a cycling sprint after having exercised for 4 h. Performance improvements were observed when 22 g of carbohydrate were ingested every hour, whereas no effects were observed when half this dose was consumed (11 g · h−1). But in an experiment by Maughan and colleagues (Maughan, Bethell, & Leiper, 1996), the intake of 16 g of glucose per hour improved endurance capacity by 14% compared with water. However, no placebo was given in this study and therefore the results are less easy to interpret. To add to the uncertainty, Flynn et al. (1987) did not observed any differences in performance with the ingestion of placebo, 5% or 10% carbohydrate solutions that provided 0, 15, and 30 g of carbohydrate per hour, respectively, during 2 h of cycling. The most recent study to address this issue was that by Galloway and colleagues (Galloway, Wootton, Murphy, & Maughan, 2001). In this study a 2%, 6% or 12% carbohydrate solution was ingested by individuals exercising in cold conditions (10°C). There was no difference in time to exhaustion at 80% maximum oxygen uptake (VO2max). In most studies, researchers have provided 40–75 g of carbohydrate per hour and observed performance benefits. Ingesting carbohydrate from a single source (e.g. glucose or maltodextrins) at a rate greater than 60–70 g · h−1 does not appear to be any more effective at improving performance than ingesting carbohydrate at 60–70 g · h−1, perhaps, as will be discussed later, because of limitations in the rate of absorption of a single type of carbohydrate from the intestine. It is also possible that the current performance measurements are not sensitive enough to identify the small differences in performance that may exist when comparing different carbohydrate solutions. One might conclude that performance benefits can sometimes be observed with the ingestion of relatively small amounts of carbohydrate (e.g., 16 g · h−1), but more reliably so with larger amounts. If carbohydrate ingestion is to improve endurance performance, it is likely that the beneficial effect is primarily dependent on the oxidation of that carbohydrate. 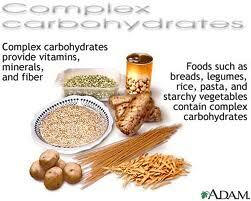 Carbohydrate ingestion can improve endurance capacity and performance. The optimal dose of carbohydrate is still subject to debate, but recent evidence suggests that there may be a dose–response effect as long as the carbohydrate ingested is also oxidized and does not result in gastrointestinal distress. Oxidation rates of a single type of carbohydrate do not exceed 60 g · h−1. However, when multiple transportable carbohydrates are ingested (i.e. glucose and fructose), oxidation rates can be increased significantly. To achieve these high oxidation rates, carbohydrate needs to be ingested at high rates and this has usually been associated with poor fluid delivery. There are suggestions, however, that using multiple transportable carbohydrates may enhance fluid delivery compared with a single carbohydrate. More research is needed to investigate the practical applications of some of the findings discussed in this review. This entry was posted in Reviews and tagged Carbohydrate, carbs intake, feeding during exercise, Training & Competition Carbohydrate. Bookmark the permalink.